Step into a world unlike anything you’ve seen before. Is it a temple or is it ruins? Is it a fog filled jungle? It’s all of that and more…It’s a high tech trek through time where you assume a new identity and outscore your opponents, in a modern laser battle. 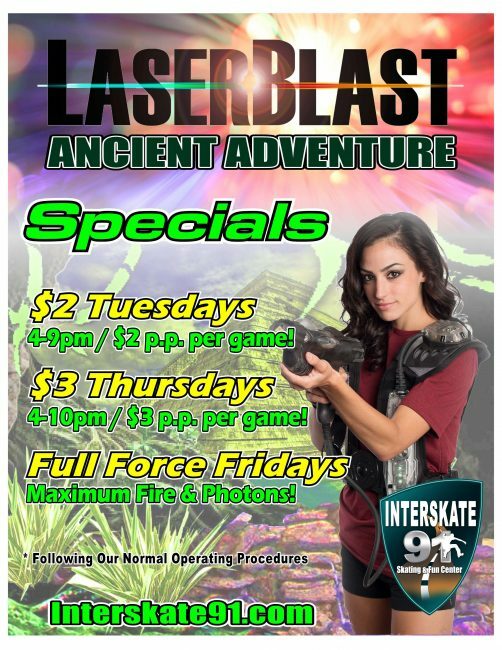 It’s Laser Blast: Ancient Adventure!